So much is said of #10yearchallenge but we propose to retreat a little more to the wonderful #19yearchallenge. 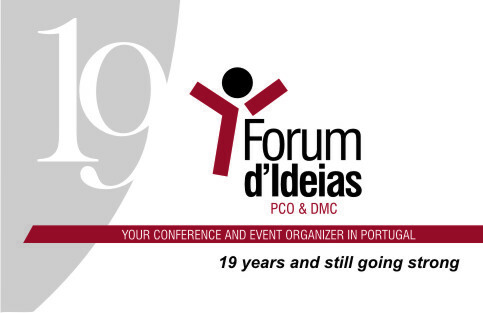 Forum d´Ideias has been re-inventing itself in this increasingly challenging market for 19 years. At that time the company had few people and the technology was a little more time consuming, which means that already then we had excellent professionals who made it happen. The range of activities was very small and the same can be said for the rest, few options for accommodation, animation, venues, the photographers could not forget to take extra rolls and the conference speakers had to bring transparencies for their presentations. But there are things that have never changed ... the European School of Haematology has been with us from the beginning and shortly after this client joined Venuesworld.com, making us their exclusive representative in Portugal. Maybe we have to change our hashtag to #19loyalty. Thank you to all who have entrusted and recognized our work. We dedicate all our time to the development of new ideas and work methodologies to continue this evolution and to allow all our clients to remain satisfied. Share this item, choose your social network!